There are many faiths in the world, but the one truest and purest is David Shiffman’s faith in me. 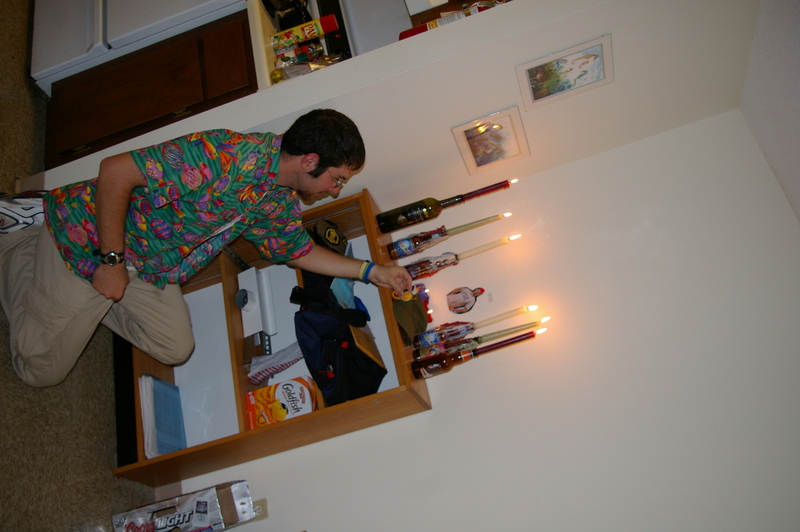 Yes, that is a shrine to the Southern Fried Scientist that David is kneeling before. The offering appears to be of the magnetic marine creature variety. I too am filled with faith, faith that our own David Shiffman is still in the lead. And faith in our readers to keep voting for him so that it will stay that way. The shrine of the ancient mariner? Confused? David is currently competing for a $10,000 blogging scholarship being decided by public vote. 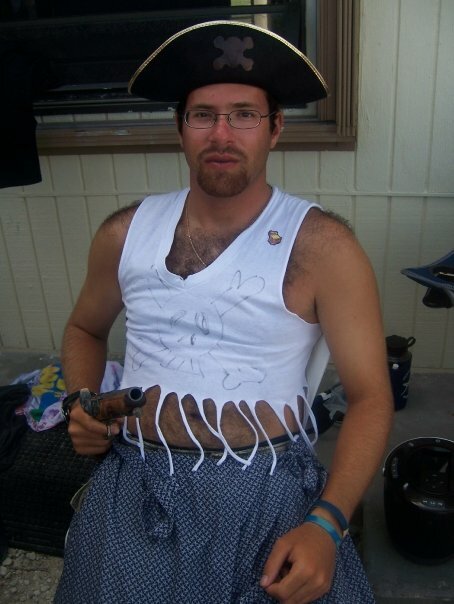 For every day David remains in the lead, I’m posting an embarrassing picture from his past. I extracted this picture from David Shiffman’s Facebook page, so I really don’t have any context for you. Please post your own captions and backstory in the comment thread. And don’t forget to Vote for David! 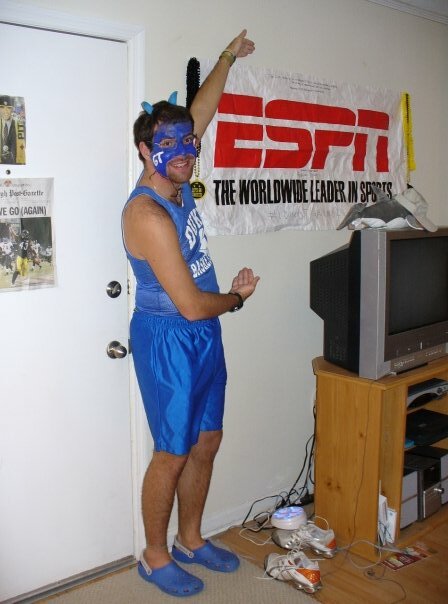 …by which I mean he bleeds Duke Blue. He’s also still maintaining a healthy lead in the 2011 Blogging Scholarship. Vote for him so it stays that way. Basketball is like Barbecue, everyone thinks they have a team, but the only rivalry that matters is in North Carolina. You love us, I know. You want to David Shiffman win a $10,000 scholarship to help fund his education. But clicking a link, then clicking a radio button, then clicking another link is a commitment. It requires work. You deserve to be rewarded for you efforts and I’m happy to oblige. You see, I’ve know David for a long time. We were college roommates, a ground-breaking (pun intended) rock climbing team, dive buddies; we’ve co-authored papers together, coordinated local, national, and international marine education campaigns, and co-blogged (along with the incomparable Amy Freitag) at Southern Fried Science for what will soon be our 3rd year; I’ve spent hours training him to correctly use a well-placed semi-colon for comedic effect. 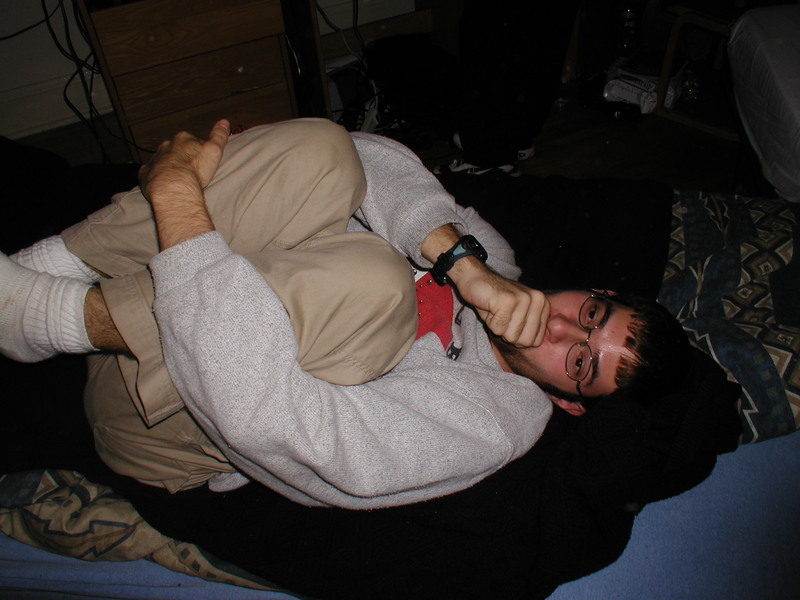 Which is a long way of saying I have many, many embarrassing pictures of David Shiffman that I’m almost certain should never see the light of day. So here’s the deal. David is currently in the lead. We want it to stay that way. We want you to want it to stay that way. For every day that David is in first place, I will free a picture from the archives, in increasing increments of hilarity. If he wins… well, we’ll cross that bridge when we come to it. 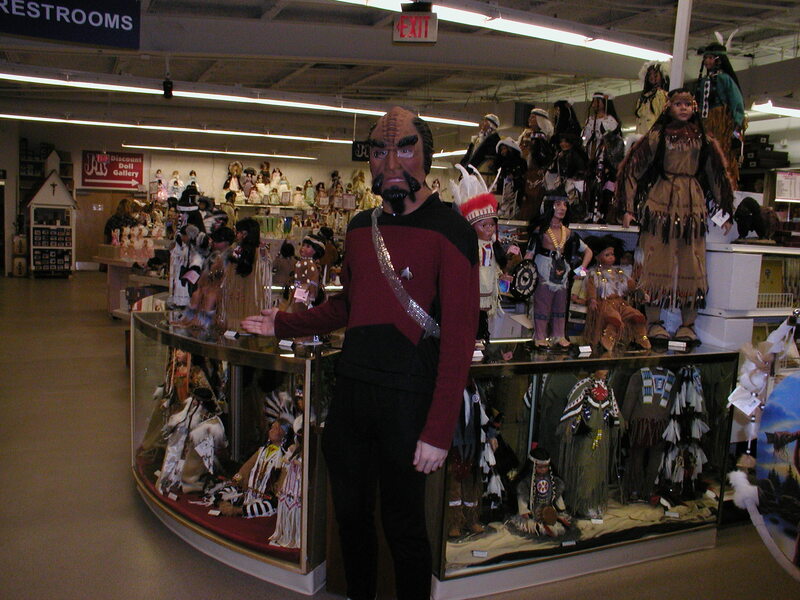 Freshman year David wore this Star Trek costume more than is healthy. Seriously, I've got like 40 pictures of him dressed like this, and they're all from different events. The real question though: If he's such a Star Trek fan, why is he a red shirt? If you’re coming over from CollegeScholarships.org to check out some of David Shiffman’s work before voting for the 2011 Blogging Scholarship, welcome! Here are a selection of some of David’s influential, informative, and award-winning posts.